Click or tap on the question to see your answer. Compost is a dark, earthy material which results from the natural decomposition of organic matter. Q: Why Should I Compost? To produce an excellent, free, soil conditioner which will improve your soil and the plants growing in it to reduce waste; by composting kitchen and yard waste, you can reduce your household's garbage by one-third to one-half. Q: How do you start a compost container? Although containers are not essential, they are recommended. An open pile can be unsightly and is more likely to attract pests. There are many different containers to choose from. You can buy a commercial model or build one yourself. Containers with two or more sections have some advantages. You can aerate the material by turning it from one section to another. Also, the material in a full section can finish decomposing while you add fresh materials to another section. The ideal size for a container is between 3 ft. to 5 ft. square. Click here for container info. Q: Does the Association sell compost containers? Unfortunately, the Association no longer sells composters as the are readily available in local hardware and gardening centres. We do have the Green Cone food digester for sale! Q: What is a Green Cone Food Digester? The Green Cone reduces food waste to its natural components of water, carbon dioxide and a small residue. The solar-heated garden unit takes all cooked and uncooked food waste including meat, fish, dairy products, vegetables and fruit. Click here for an informative handout about it! Q: What can I compost? Q: How long does compost take to mature? Anywhere from two months to two years, if you opt for the No-Fuss Composting Recipe explained below in another FAQ. Q: Can you compost in the winter? Yes. Continue to add materials throughout the winter. The decomposition process will slow down, but the pile will become active again in the spring. Q: Will the compost smell? A compost pile that is working well should not have an unpleasant odor. If it does, it may be that the materials are too wet or compacted. Turn the pile to let it dry out, or add dry materials such as leaves. Vermicomposting is a unique and viable alternative for situations where normal composting techniques cannot be practiced. The term "vermicompost" is actually a compound word. The prefix "vermi" is a derivative of the Latin word for worm, vermis. A special kind of earthworm is used to break down the organic materials. These animals are called red wigglers and are capable of eating their weight in organic matter each day. Along with the waste, the worms consume their bedding, then excrete castings. These castings are an excellent natural plant food, that can be richer in certain materials than topsoil. Because composting using worms require less space than normal methods, it is ideal for offices, classrooms, apartments, and high density urban areas. It also provides a place to put food waste in the winter months. While an outdoor compost pile is still active during the winter, the decomposition is relatively slow. Most people are not generating yard waste after the snow falls. The only organic waste would be food and kitchen scraps. Vermicomposting allows a person to conveniently get rid of organic material without having to venture outside. Q: What is the No-Fuss Composting Recipe? 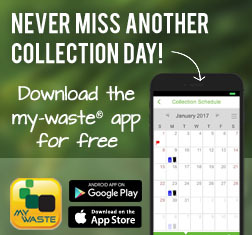 If you want to compost yard waste only, and you're not in a hurry, try this.... Add yard waste to your bin as it is available over a period of several months or even years. Allow rainwater to moisten the pile. In one year to 18 months the material at the bottom and centre of the pile should be composted. The uncomposted materials at the top can be used to start a new batch. Q: How do I avoid attracting animals and flies? Use a container with a tight-fitting lid, hinged at one side and with a latch at the other. When adding food waste, either dig it into the existing compost immediately or cover it well with soil. Do Not Add meat scraps or fat. Line the sides and bottom completely with heavy-duty wire mesh. Q: How do I harvest finished compost? Some composting bins have an access door for the removal of finished compost. If you are using a container with more than one section, you can easily remove the finished compost from the section to which you are not adding fresh materials. If you are using what are sometimes called 'turning' or 'portable' units, simply move the whole container to a new location, fork the uncomposted materials from the top of the old pile into the empty unit, and remove the finished compost from the bottom of the first pile. Q: What can I do with finished compost? A lot of people may like the idea of composting, but have no clue what they can do with it. Fresh compost can be used for so much more than just gardens. When compost is ready to use, it should be dark and crumbly with most of the original identity of the materials lost. You can screen the finished compost to remove coarse or incompletely decomposed materials such as nut shells or twigs. Return these to the compost pile. Apply 2.5 cm - 5 cm (1" - 2") of compost and rototill to a depth of 13 cm (5") before you sod or seed your lawn. For seeded lawns, apply the seeds and a slight dusting of compost to cover. (Compost helps the seeds grow faster.) Once you have laid the sod or seeded your lawn, water thoroughly. For your existing beds, add about 2.5 cm (1") of compost and work into the soil using a rake, hoe or rototiller. (A rototiller is a landscaping tool with engine-powered rotating blades that lift and turn soil). Water until the entire root zone is saturated. For new beds, add 2.5 cm - 5 cm (1" - 2") of compost and rototill or mix to at least a 13 cm (5") depth, then plant and water the flowers. Mulch is a natural or artificial layer on top of soil that reduces erosion and inhibits weed growth. For mulch applications around landscaped plants, use a 5 cm (2") layer of compost. Apply the compost and spread with a rake to distribute the compost evenly. Try not to overmulch, or you might smother the root systems. When mulching around trees, try not to put too much mulch around the trunk as this creates the perfect home for rodents! Arrange the mulch so that water flows away from the tree trunk. This will lessen the chance of crown rot. When mulching, choose a coarse-textured compost to reduce weeds and provide a thick cover to the area. Rototill the area about three to five times the diameter of the root ball of the tree. Before planting the tree, add 30 per cent compost to the original soil and mix thoroughly outside of the hole. Place the tree in the hole and use the compost-soil mixture as backfill around the root ball. Water the area thoroughly. Q: How do I manage grass and leaves? Add them in thin layers. Allow them to dry in the sun before adding them. Mix them with dry material such as leaves. Leave them on your lawn to return nutrients to the soil. Shred the leaves first to reduce their volume. Build a second bin for yard waste only. Compost them in a pile in an out-of-the-way corner of your yard where there is some protection from the wind. Dig some leaves into the garden to ready the soil for spring planting. Use some leaves as a mulch around plants for weed control and water retention. Q: Do you have more specific or periodic composting information? We release many publications throughout the year and convert many of them online. As noted above, if you have a question which is not answered in this help section, feel free to contact us here. Otherwise, check out our publications section to handouts, reports, guides, and special releases.